Founder Sanjay Moreshwar Bapat is a common citizen in this world. 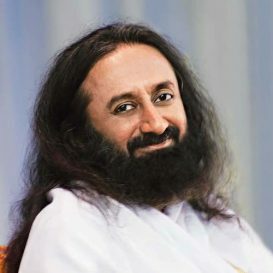 If billion people donate 2% time and if possible 2% of self earned money to Social, Health, Climate issues, he will get billions of peace points. Is Sanjay Moreshwar Bapat a well known Brand ? No. He is one of the 7.6 billion citizens in this world. every human being (living or non living) is a brand. every non living thing (like cement or steel) is a brand. Sometimes, founder uses his advertising background. Specially the creative where ONIDA icon was a Devil. He worked in ONIDA (MIRC Elec) , so he knew TV Quality was good. Creative showed devil as icon and it worked wonders. In real life, when things get routine, creative thinking adds energy. Sometimes it works, sometimes it doesnt work. But the Truth should remain Truth and you should not say it is untrue. You can try creative way to present the truth. Actually Truth is real and is bitter to many people, specially those who do wrong things so many times that doing wrong or telling lies becomes their habit. So showing the truth as Devil is like showing the bitter side of real life. It is Bitterness of reality. And may not be good for people who are real devils in life. a person who makes large amount of money through corruption. Values are far larger & deeper than money. Founder learnt Value Education from Aai (his mother). And simplicity, courage, giving to others from Bhau (his father). After his Mechanical Engineering, he did an MBA in Marketing but for him these were just things that happened. He never liked the type of education that was given and used to bunk classes and use that time playing cricket, football, badminton, carrom and in libraries because he thought what was taught was in books which one can read & understand at home or in library. Practicals are more important which is what he used to attend. Of course later, when his second son got admission for Medical Sciences, Vikasdada told him that teachers know far better than students. So attending lectures should be a habit. Founder was keen on promoting what others were doing. So he joined advertising and then Social PR. He thinks LIFE is a far greater educator than school or college. After an almost fatal accident on 28.08.2013, though he is a citizen of India, he thinks he is a global citizen. He values humanity and truth in every religion or caste or nationality. There are people who meet with an accident (Almost fatal or just an accident) and do not remember what happened at the accident time. Founder thinks laughing when they say this but know that they cant be so wrong. Each individual has Unique Identity. Each individual has a different scale of brand. Why images of well known people only ? People like to see photographs of well known people or celebrities. he added health sector after 28.8.2013. His canvas increased from Thane and India to not just this world but this universe. He never bothered about earning but for him giving to others was his nature. After accident, he realised that sustainability is important and finance is required. But realisation is not followed. If somebody needs (really needs) support, founder is ready to directly give or ask someone to come forward and help. He thinks that if one has not done enough and continues to live without doing anything, there is no point in living. Nobody takes any money, property, jewellary when they die. He knows no one takes satisfaction with them when they die. But truth doesnt die. So do good when you live and leave. If one has to leave this world one day and if one has not done anything for 50 years, what will one do in balance 50 years (Total 100 years) ? There are images of a Below the poverty line person, Ratan Tata, Muhammad Yunus, Wally Olins and Devil. The first attention of many is Devil. That's real life bitterness. Muhammad Yunus, Ratan Tata are greats. Wally was lesser known than Muhammad Yunus and Ratan Tata. But no one even wants to see the image of Hari Wagh (Forget about meeting him) Remember, more than 1 billion people in the world live Below the Poverty Line and Hari Wagh is just 1 of them. more than 99.99999999999999 % will say Ratan Tata for 1 second. Ratan Tata has met millions of people and but you want to meet him. In real life also, no one wants to see Hari Wagh. They say they face many challenges in day to day life and dont want to add. giving Rs 3650 (Rs 10 per day) to organisations which take care of people like Hari Wagh is strictly NO. That giving doesnt give them satisfaction. Actually, the satisfaction is far far more than Rs 3650/- but people see financial value. So founder has started giving Rs 3650/- on birthdays of him, his wife, his two sons, his father, his mother and may add days when both his parents left world and 28th August which is a day when he thinks was his almost death and new thinking beginning. Click here to see this humanity service of your birthday. They do not see Value of Education which founder was given by his mother Aai. More than 1 Billion people living Below the Poverty Line on earth leads to many social issues like migration, killings, rapes, slavery .... It a Bitter Truth which people want to avoid. But avoiding listening to it and how organisations are working towards solving these challenges does not solve challenges, number will go up. India is fortunate that it had Dr Babasaheb Ambedkar as the chief architect of the Indian constitution but Founder many times wonders why judicial system takes so much time not for a decision but FOR first hearing. He has seen that after 5 years of an almost fatal accident he was called for first hearing. gives him amount that she / he asked for (Not exorbitant but not cheap). is a big issue not just for him but to millions of people who do Life Insurance. Amount Thane court asks Insurance companies to pay will be known by end 2019. Then the founder will decide whether to terminate all Life Insurance policies and go for Term Insurance which means get money only if you die (expire is a better word), else there is no insurance. And the name of the person or institution to be given the money must be written in the Term Insurance form. If the decision in truth's favour (In this case founder's favour), it is ok. Otherwise he may think of three things. 2) Dont go to any court and just share the court's order, plus the written statements by founders lawyers and lawyers from Insurance companies on CSRidentity.com and let the world see it. Nothing to worry about writting. But founder knows court rules so without proof he cant say anything. Founder normally gets up at 4 AM and starts works on most of the days was not needed to be told in the court at accident hearing but founder said that because he wanted to share how accident changed him. And it was a fact. But court may think facts without proof is diluting valuable time of court because there are so many cases the court gets everyday. Bhau, his father taught him simplicity, courage, helping others. The well respected police officials, collectors, politician, well connected people ... know the case and people involved. So they will take legally care if any wrong thing happens. Nandan Nilekani who wrote the book "Imagining India". If each continent has Venkat, world will be good. If each country has Venkat type, world will be far greater. Much faster. Shard Pawar in his Delhi office. Dilip Apte who thinks diabetes, polio, heart issues should not come in your way to lead life through Bhagwat Geeta. 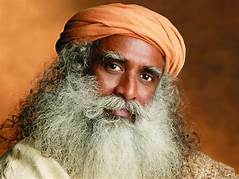 Jaggi Vasudev : Isha Foundation leader in Coimbatore, saw him in Japan but did not meet him there..
Madhav Chavan of Pratham, which works in most of India on education. Nachiket Mor - Various times at ICICI, once at IFMR in Channai. He is Gates Foundation head in India but has not met him since then. Nitian Paranjpe - Met him at his office, at Dharavi school when he volunteered. He is now COO of Unilever at their HQ. Pravin and Priti Patkar of Prerana which works on Trafficking. Students in various Municipal schools in Mumbai, Delhi and tribal schools in Thane, Jowhar - They are future of this big world and some are great motivators. Of course founder met Wally in India. Olins died at the age of 83 on 14 April 2014. Founder was in UK between 12 to 18 April 2014, but could not meet Wally. One may think travelling is expensive, so founder has lot of money. But the fact is most of these visit were sponsored by organisations like India Centre Foundation, GRI, Global compact, Sista's Worldcom ... Infact people & organisations paid for founder's hospital and after hospital expenses because founder family could not afford sustainability. Founder's mediclaim took care of some bills. United Kingdom : Business leaders. Japan : Policy makers, business leaders, political representatives at Indo Japan Summit in Tokyo in 2011. Former Minister in Maharashtra Mr Jitendra Awhad was Law college GS in 1984-85 when founder was doing law in Bedekar College Thane. Founder did not meet him because Mr Awhad was too busy. Bhau : Founder's courageous father. Gadiyars : A schoolmate and was in hospital but more important is that fact that Abhay & Radhika are responsible for seeing and giving one child for adoption. Rohan : Founder's son who is his teacher of Integration. Dr Harshad Purandare : A doctor with great humanity. Dr Vishwanath Bapat : Aurvedic treatment. Founder's school alumni like Sandeep Bhagwat, Abhay Gadiyar. Founder's relatives Atul Vaze, Manoj Marathe, Amey Joshi, P..
And of course relatives like Neha, Medha Vaze, Medha Patki, Neeta and Rohini's friends were great help because they used to help Rohini when founder used to be taken for Oxygen therapy. Founder's wife Rohini : Founder thinks her name must be shared at the end.